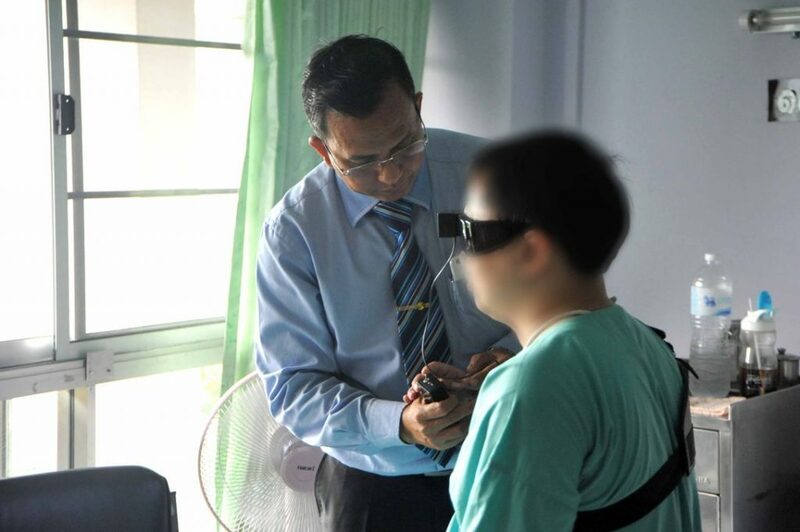 Three institutes have collaborated to innovate the ‘PMK Glasses Navigator’, a THB 5,000 – 6,000 set a glasses to help visually impaired patients. The project was led by Asst. Prof. Dejrit Maneetham, Head of the Mechatronics Department in RMUTT’s Faculty of Technical Education, Asst. Prof. Dr. Benjalak Muangmeesri from Valaya Alongkorn Rajabhat University, Colonel Asst. 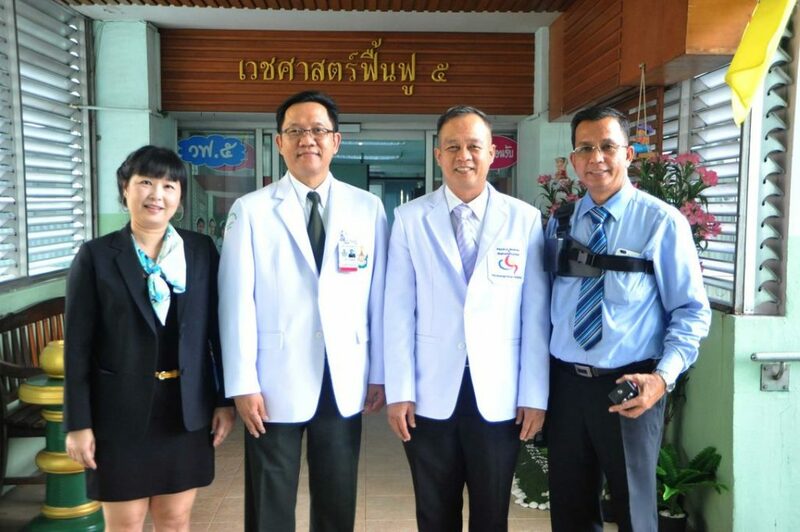 Prof. Dr. Arom Khunphasee, Director of Rehabilitation Medicine, and Colonel Asst. Prof. Dr. Sutee Panichkul, Asst. Director from the Department of Innovation at Phramongkutklao College of Medicine in collaboration with Phramongkutklao Hospital. Colonel Asst. Prof. Dr. Arom Khunphasee said that Phramongkutklao Hospital services numerous soldiers with head or facial injuries. Besides brain injuries, some soldiers also lost their ability to see. The PMK Glasses Navigator will benefit soldiers by helping them improve their ability to walk. 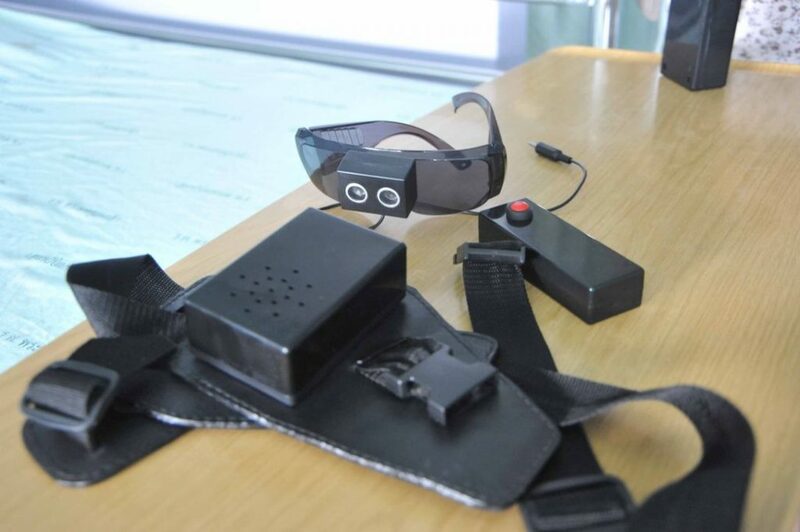 As visual impairment is not congenital, the glasses will make it convenient for people to go about their daily lives. Those that are blind may also wear the glasses. The PMK Glasses Navigator designer, Asst. Prof. Dejrit Maneetham, said that the glasses contain two important components. The first component is the hardware, which consists of a rectangular plastic box, microcontroller, a set to detect and measure distance with ultrasonic waves, sound recorder, and 9-volt battery. The second component is the software, with C programming language to manage and control the operating system. Moreover, when patients wear the glasses and come into contact with something on their path, ultrasonic waves will detect the object, measure the signal, and reflect the signal back, along with an audio cue informing how far the object is so the patient can avoid it. In addition, the PMK Glasses Navigator weighs 0.2 kilograms, lasts up to two months, and can measure up to a distance of two meters. Those that stay at home are not required to wear the glasses as they have an additional option to use a small camera to navigate around. They can carry the small camera in front of them and press a button every time they would like to measure the distance. An audio cue will inform the patient about the far an object is much like the glasses. Moreover, Sergeant Chilsak Pinikpasakorn said that he suffered an injury when he was dismantling bombs, resulting in blindness in both eyes. After treatment and rehabilitation, researchers have decided to innovate ways to make the lives of those that did not develop a congenital disease more convenient. Sergeant Chilsak can live an easier life as the glasses inform him of how far objects are so he can avoid them and reduce the number of potential accidents. 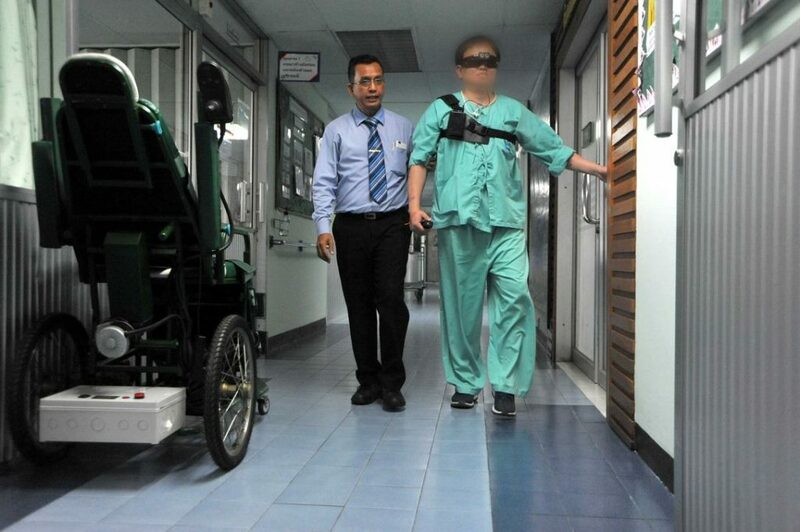 Currently, the PMK Glasses Navigator has been used with patients in Phramongkutklao Hospital. Those that are interested may ask for more information by contacting Asst. Prof. Dejrit Maneetham by calling 086-882-1475.